It's been a year since I built up a wheelset with the Sturmey Archer XL-FDD & X-RD3 hubs. This winter has seen more snow and a bit more wetness than last winter, I've also done precious little maintenance on these hubs. 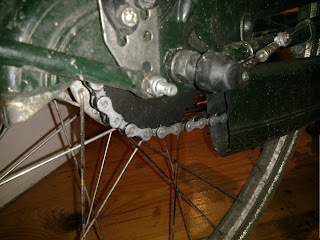 However just recently, I noticed that the front brake was getting a little weaker and started to stick a little bit. The sticking would happen after a harder stop, the front drum would stick for a little bit and then slowly release. Reversing the wheel would release it immediately. I decided to pop open the front drum to have a look. I thought that maybe some snow or muck had gotten into the drum and maybe have wet the linings because the braking power had decreased a noticeable amount. Inside it looked fine, it was suprisingly clean; there was only a little bit of brake dust but otherwise there was nothing unusual about any of the internal bits. I gave the cam a little bit of grease and deglazed the shoe linings with a wirebrush, and put it back together. When you put the outer plate back on, you're meant to leave the locknut loose so you can press the brake to center it in the drum shell then tighten it. I've never really done this because there is next to no float in the outer plate, although I probably will try it anyway when I have some time. The next time I rode it and braked there was a marked difference, it was actually quite grabby, almost a little too grabby and there was a lot more power. The sticking had gone completely and hasn't come back in the past week. Nice! The grabbiness was a bit of an issue, particularly when the roads were icy, however in the past week it's slowly come back to it's normal self. I decided to oil the chain as well since I was at it, the pic above shows you how much dirt gets on the chain with about a year of use and maybe one wipe and oil. There are tiny specks of gunk on it, but I suspect it may have been dirt it picked up from inside the chaincase floor when the rear wheel has been off and the chain has been touching the inside. There was a lot of dirt inside the base of the rear cover piece so I decided to clean that. I gave the hub a few drops of oil as well, there hasn't been any problem with contamination of the drum from this. Otherwise I'm happy that this chain oiling business has only been a bi-annual thing rather than a bi-weekly or monthly occurrence. The chain itself was brilliantly clean otherwise with next to no gunk buildup on the sprocket, unlike a typical derailleur bike which will have gunked up jockey wheels within about a week or two of winter riding. Overall I've done about 6000km over a year on these hubs and there is nothing really major to report, the maintenance has been next to none, mostly limited to the stuff above which itself is very minor. The dynamo has been completely faultless, supplying juice to my lights through rain, snow and sunshine. The best thing about the brakes is that they are so consistent, no matter the weather or the adjustment they generally brake the same and are really dependable; well that is excluding the slight glazing effect that I wrote about above. 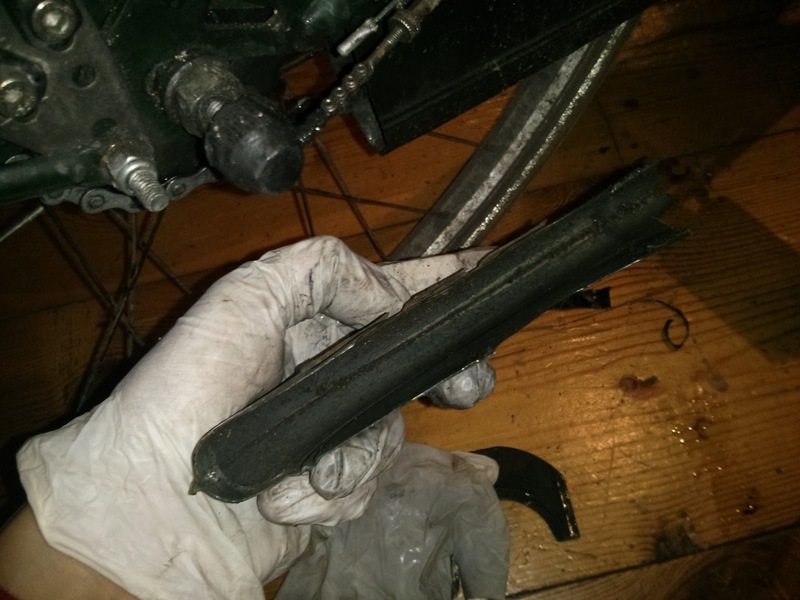 However in the same amount of time if I had used a caliper brake they would have probably been some hairy moments in heavy rain or snow and they probably would have required new pads by now. My only criticisms now are that the modulation isn't as good as a set of discs, even cable discs. However I think this is an inherent characteristic of drum brakes and their self-energising action. Still I feel I've achieved what I set out to do, build a low/no maintenance bike that can be ridden in all weather. 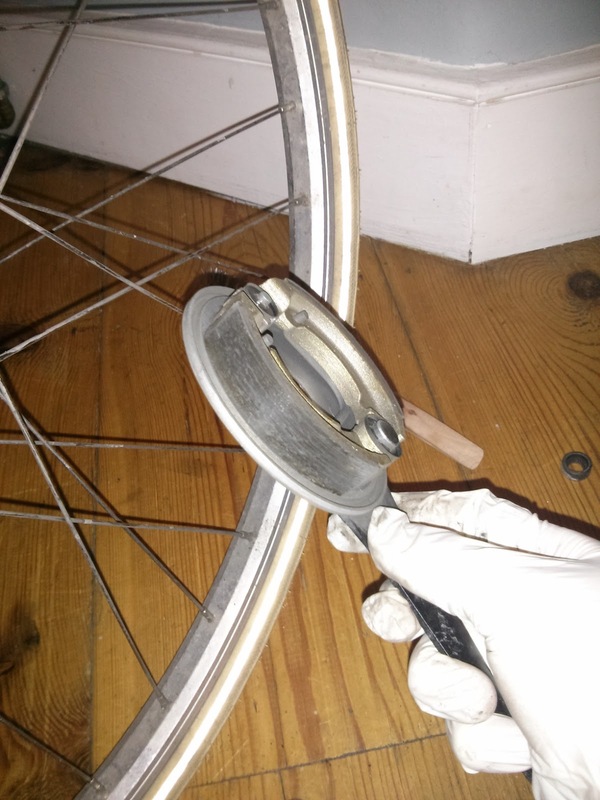 I've had the same problem with the sturmey front drum brake: pad sticks on the drum and won't unlock until you come to a complete stop. It seems to happen about once a year and requires sanding the brake pads down a little. 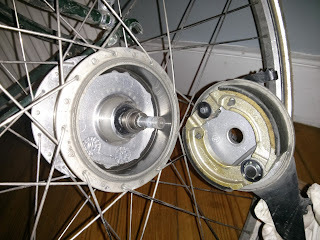 Thus, I'm probably going to switch to shimano dyno/drum brake if my sturmey requires any further service. 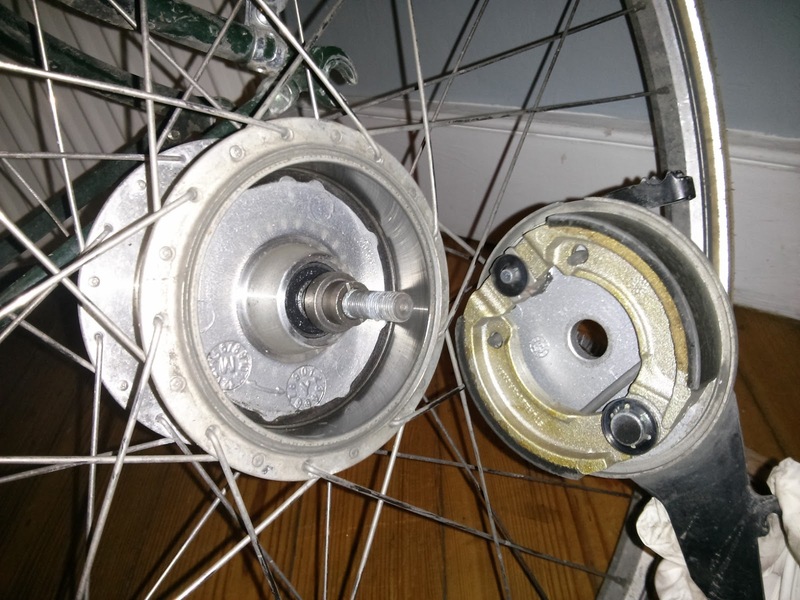 Although I prefer Sturmey drum/3 speed rears over Shimano drum/3 speed by a small margin. Yes, I can probably see it happening again in a years time, although it doesn't really bother me that much. If this is the only maintenance that I have to do every year or 6000km it's not bad at all. The Shimano roller brakes need greasing every now and then as far as I know, but I've never owned any so I can't really comment on the maintenance of them. Hi, your posts about the XL-FDD & X-RD3 were the last kick to make me go and buy these hubs. I loved to watch the photos about the hubs on your classic bike. Im glad to find your blog and Thank you.